Glastonbury has dropped the first part of its lineup for 2019, with The Chemical Brothers, Stormzy, Hot Chip and Jon Hopkins featuring amongst the big names. Also confirmed today are Diplo, The Streets, Little Simz, Kamasi Washington, Friendly Fires and Maribou State, amongst others. 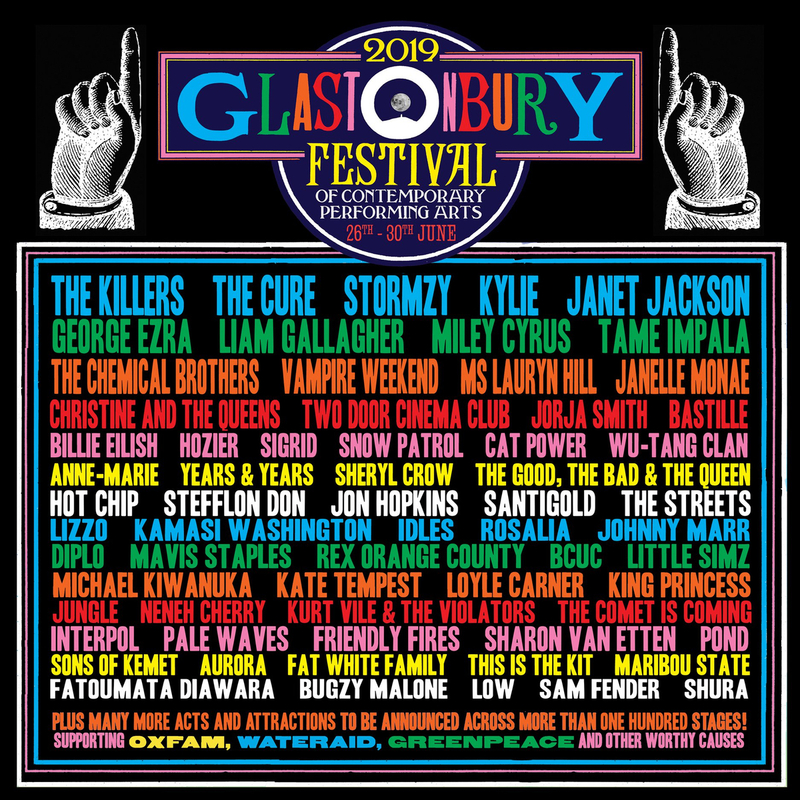 The festival will be headlined by The Cure, The Killers and Stormzy, while Janet Jackson and Kylie Minogue will also make headline appearance. Hundreds more live acts and DJs are still yet to be announced across over 100 stages, with the full lineup expected to follow soon. The festival is sold out but a resale of tickets is expected to take place early next month. Find the full lineup poster as it stands below. 2019's festival marks the first since 2017 after last year's fallow year. Glastonbury's Block9 area is set to double in size for this year's edition with a "radical" overhaul planned. One of Glastonbury's stages, the Beat Hotel, will launch a festival of its own in Marrakech later this month. Catch up on our recent interview with Glastonbury act Little Simz here.